Heyhey, long time no see! It has probably been a year, maybe a year and a half, since last time participated in this game jam. Lets see if I’m still able to do this!! I used to work with my own inhouse engine written in Java. But this time, for the first time, I’m switching it up to Unity. I have only used it for a week or two so we’ll see how that plays out hehe. I am starting to get somewhere with this thing. Not exactly sure where I am heading with this. We’ll see. The bats are flying around like cray cray tho. The unfortunate happened to me. About 20 hours in, I started to notice that something struck a heavy load in my game and made the frame rate drop ridiculously. Poking about in my code I found out that this flaw is somewhere in the rendering of my “engine”. I figured that I accidentally caused this when I tried to… urk, upgrade it. Beats me. “Don’t fix what isn’t broken.” fits so very well in this situation. Half of the time has already passed, I am nowhere close to even have a solid idea for my game, I cannot even spawn 10 simple particles without causing the framerate to drop to 20 and I have already spent about 4 hours trying to find the bugger in the code. So for the first time since LD23, I am backing out. I wish the best of luck to the rest of you! Soon, it is time again, time for another weekend filled with lack of sleep, lots of pop, one or two beers and a wall of code that doesn’t make any sense at all. Sadly, it might be the last time for me to do this in a long while because reasons. The tools I will be using is the same as during my previous Ludum Dare entries. Todo list. Goddess in heaven, a Todo list is so good! During my previous LD entries I only used a huge scribble file with heavenly many random notes. It was a mess. Most features and functions in my games were mostly impulsively added. But last time I had a Todo list and it saved me many hours. I used two categories in it: CORE and FEATURES. The CORE list was stuff I absolutely needed for the game to even work and FEATURES was things that I should have, things that would make the game but can be left out. Like every other Ludum Dare event I have participated in, I am going to stream as much as possible on this livestream page. Anywho. See you guys at the start line in two weeks! I hoped to be able to rate a hundred games this time. Unfortunately, I have fallen into a horrible sickness since a week back and I do not start to feel any better, nor do I think I will in the next couple of days. So in the meanwhile, here are my favourite games (in no particular order) from LD26, out of the 65 I have rated. I will hopefully recover in time and rate the hell out of the remaining 2282 games. Once again, I finished my entry in time. For the fourth time to be precise. 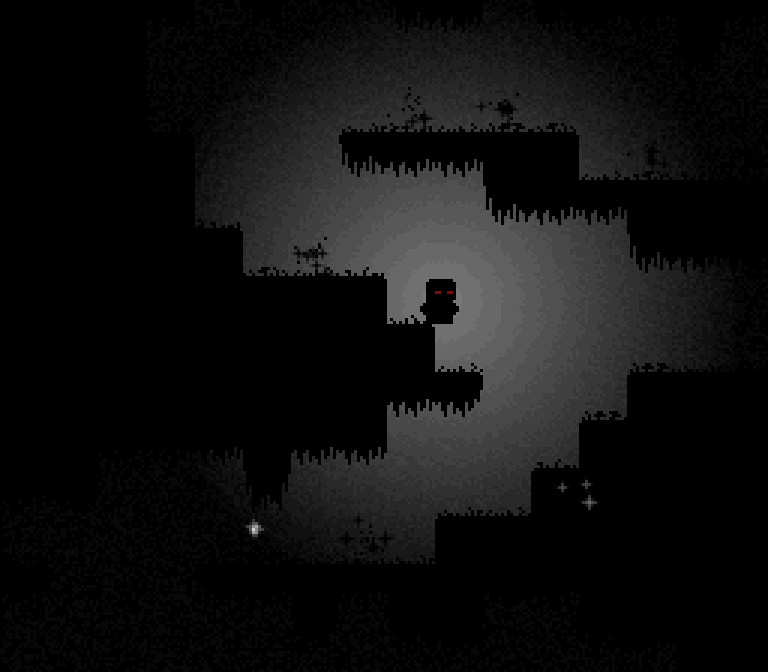 As usual, I kept the graphical appearance to a basic level. Only this time I was encouraged to do so *sqeee*. The thing about basic graphics is that I can put more time in the game rather than making it look good. My finished entry is Trapped In Minimalism. Click the image to get to the game. * The most important thing that went well is that I managed to finish the game. * As opposite to the other times I participated in Ludum Dare, I had a scribble file to write down all ideas and plans I had to sum up how I wanted the game to be. * To add to the previous point; TODO list vs optional TODO list. Knowing what is highly needed in the game and what would just be a secondary feature. With these two lists I could easily finish the core of the game without having unnecessary code in my way. * Knowing when something headed the wrong way. I quickly noticed, halfway through the first day, that my sprites did not look anything like I wanted them to. Because of the early notice I managed to redo most sprites without feeling stressed out for the deadline. * Oversleeping. During the other LDs I have participated in I did not sleep a lot, maybe 4-5 hours á night. The outcome was always feeling really bad the next couple of days, not to mention catching a lack-of-sleep-cold. Because of me oversleeping both days this time, I managed to keep my hours of sleep, have a clear mind and feeling relatively good afterwards. * Some things on the list changed throughout the event. I did end up with some working but horrible looking code in the end. * Do NOT do something if you do not think you can do it easily. I got stuck with two things during the event because I was experimenting. Mainly, I tried to add a type of projectile, Missile, which would home against targets. I struggled a lot with the code for the homing effect and wasted time on something that was not even added. * Something something, I know this point is important but I have unfortunately forgot it. When I hit 100 games rated I’ll post a top-5 or top-10 list. I’m in, for the fourth time! It is time again! Yet another Ludum Dare to participate in, this time for the fourth time! WOOHOO! I am all hyped, as usual. Tis just past Monday afternoon right now and am just about to start the warmup mini projects. Meaning; This will be a full week filled with nothing but coding. Well then, see y’all at the start line! Oh right! Almost forgot. Like the other times I have been in Ludum Dare, I am going to livestream as much of it as possible. My Livestream channel can be fround [here]. Huzza and everything! It has been a tough journey, lots of sleep missed out, sitting still for almost two days, killed myself twice, but I made it. My entry can be downloaded from this link. I… Don’t know what to.. I’m sleepy.. 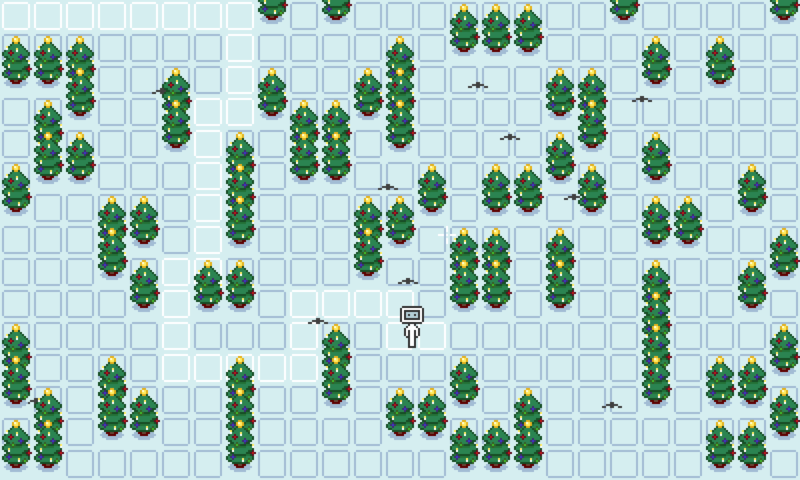 The level has once again been redone and is now in it’s final form (hopefully). The main objective in the game is fully finished and so are the good and bad endings. Further more, I have retouched the nightmares. Compared with the nightmares seen in this screenshot. The black clouds of stars being nightmares. Everything turned out fine last night. 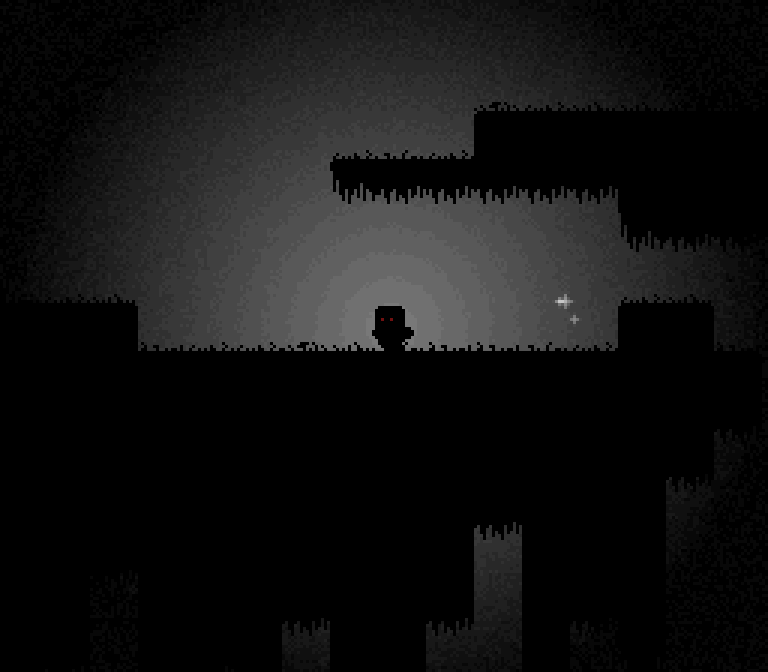 I got all the mechanics for the game done and all the graphics more or less finished. I can now safely spend my last 14 hours on the level, sounds and testing. We’ll see how them hours will turn out. I do feel kinda crap after my lack of sleep and food. Note to self: Eat more! Things have gone pretty smooth the last couple of hours. Though, I seem to have been getting stuck in my bad habit: Trying to do fine touches already instead of actually working on the game play. Well, I still got more than half of the time left. I should not worry (yet). Here is another screenshot. This time of the only kind of enemy ingame, the Light Fairies. Since they are currently in an environment they are used to (the land of nightmares) they are just blindly idling around. Oh, that’s right. I changed the resolution for the game. Instead of 400x300px at x2 scale it is now 256×224 at x3 scale. Less pixels to draw, screen feels more populated and yet not too cramped. I feel that it is safe for a short break and some noms. Obligatory food n’ stuff photo! 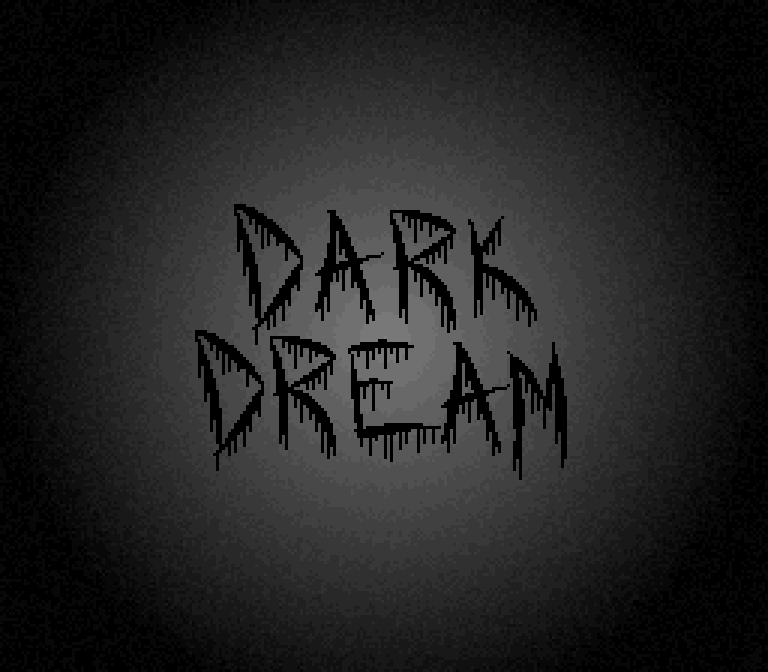 The idea for the game is to collect nightmares to unleash them upon our world. The weird clouds you see are the nightmares. I still haven’t thought of the challenging part yet. Hopefully I’ll have the idea soon enough. Very well. I have had my first night of sleep after 3 hours of work. What did that result in? 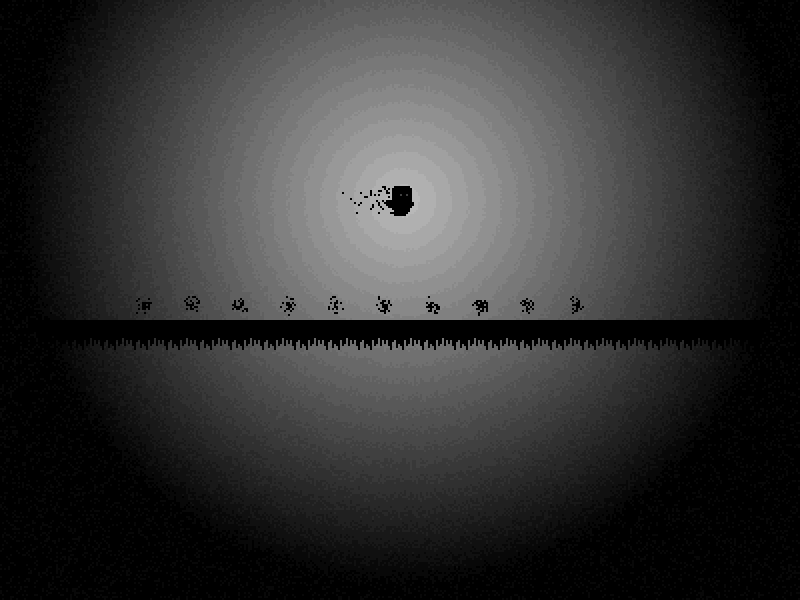 I just enough got my basic engine working which is nothing but handling the frame rate and drawing pixels. What else? Hmm… I overslept. I missed out 2 hours. And one last thing: I still have no idea what to do! I must finish nonetheless! Think brain, THINK! Very well! I shall join this Ludum Dare event, FOR THE THIRD TIME! Even though it is more than a week left until it starts I can already feel the hype build up! ALL THE HYPE! After looking through the themes in the Slaughter poll, I really hope for either the Dream theme or the Tower theme. I already have some vague ideas for what to do in those themes. Better to have a tiny idea prepared than nothing at all.As for language and tools. I’m not fully decided yet on all things. I am 99,9999~% sure that I will create a pixel art game, but I do feel tempted to try to make hand drawn graphics for the game. The thing that stops me is the lack of experience with hand drawn animations and the fact that we only have 48 hours. 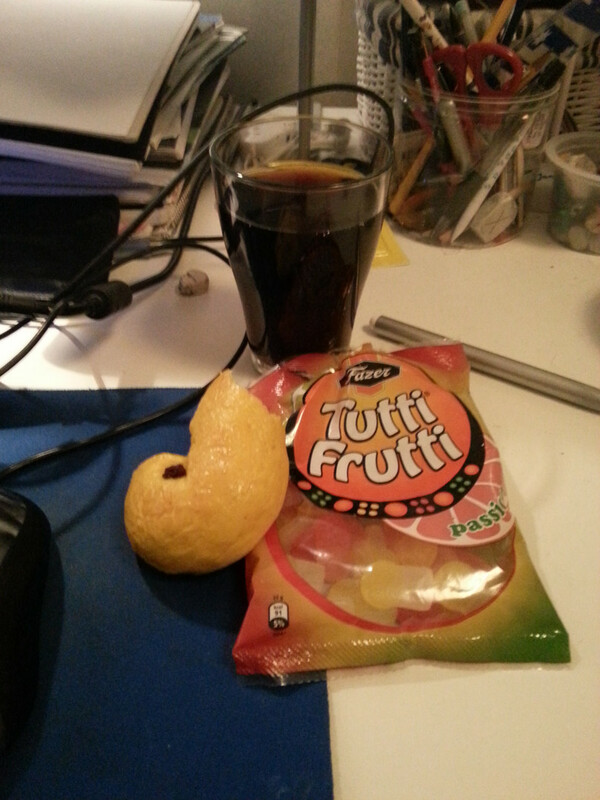 Livestream, friends, chat, TONS of soda and loads of music. On top of everything, I have added GUI’s, menues and various flashy icons to alert the player for various stuff. The evolition has not been added yet, but I promise it will be added soon, pretty soon. Woke up, felt great and continued working. 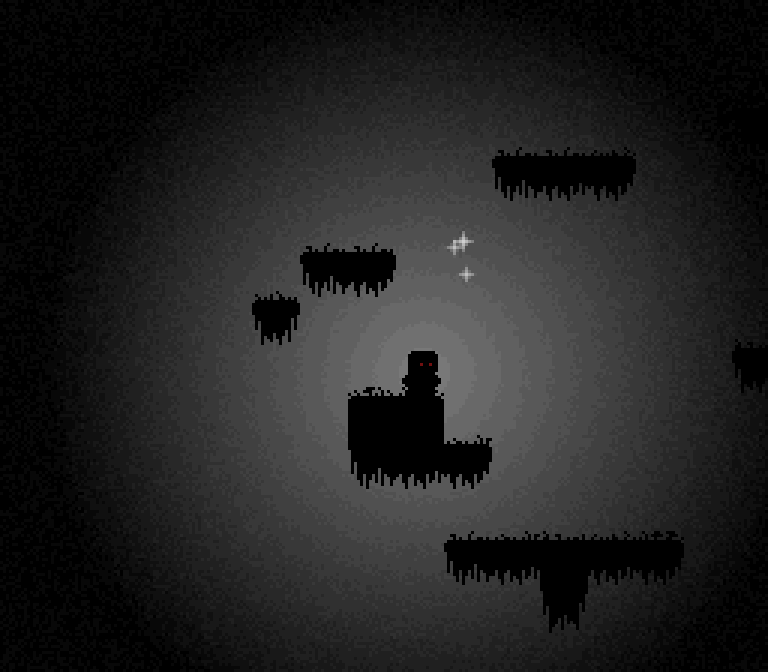 On just two hours I’ve got the bullets working, a properly scrolling background, a zombie (just a immobile dummy for now) and particles. Gotta love ’em particles! 20 queries executed in 0.103 seconds.